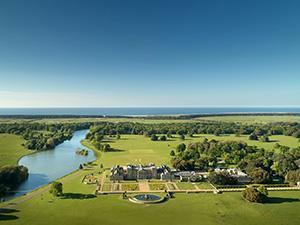 Join a guided walk to learn some interesting facts about the herd of deer in Holkham park. Discover how the behaviour of the beautiful Fallow Deer change with the seasons and how the management of the parkland, both past and present, has made it the wonderful sanctuary for wildlife that it is today. There’s also an opportunity to go into the Ice House. The walks will be informal and suitable for all ages and there will be plenty of time for you to ask questions. Bring along your binoculars and cameras if you have them. Well-behaved dogs on leads are also welcome. We suggest you wear suitable footwear for walking in parkland and come prepared for all weathers. With an opportunity of walks in summer and autumn, why not come along on several walks to see how the parkland and its inhabitants change throughout the season. Adult £6.50, Child (2-16 years incl.) £3.25.